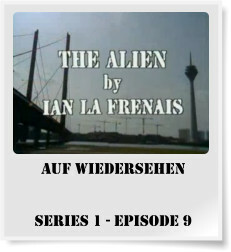 Auf Wiedersehen, Pet - Locations Series 1. 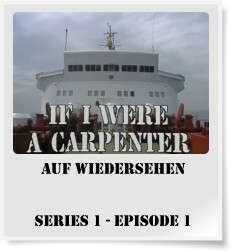 Location Notes - The very first episode of Auf Wiedersehen, Pet is a mixed bag of locations. Featuring, England, Holland and Germany. Acknowledgments - Neil Rigby & Gary Duffy. Images - ITV, Central Television and Carlton Media. Location Notes - Many of the outdoor location scenes were filmed in Hamburg, not Düsseldorf. Acknowledgments - Neil Rigby. Images - ITV, Central Television and Carlton Media. Location Notes - When Oz finds himself back in the UK, after the Sunderland game, its filmed in Hammersmith, London and not Newcastle. Acknowledgments - Neil Rigby. Images - ITV, Central Television and Carlton Media. 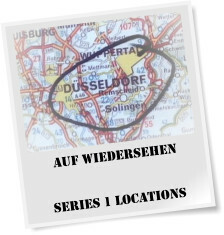 Location Notes - Outdoor location shots were mainly filmed in Hamburg, with a few shots of Düsseldorf also being used. Acknowledgments - Neil Rigby. Images - ITV, Central Television and Carlton Media. Location Notes - We don’t currently have any locations for this episode. Acknowledgments - Neil Rigby. Images - ITV, Central Television and Carlton Media. 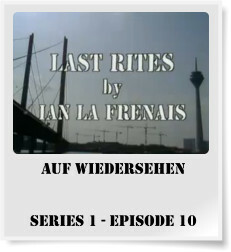 Location Notes - German location shots filmed in Hamburg. Acknowledgments - Neil Rigby. Images - ITV, Central Television and Carlton Media. Location Notes - We get to see the actual building site used in Hamburg, and also some other locations in Germany. Acknowledgments - Neil Rigby. Images - ITV, Central Television and Carlton Media. Location Notes - This episode features many locations filmed in Dusseldorf, such as on the banks of the Rhine. Acknowledgments - Neil Rigby. Images - ITV, Central Television and Carlton Media. Location Notes - Filmed on location in Bushey, London. Acknowledgments - Neil Rigby. Images - ITV, Central Television and Carlton Media. Location Notes - Looking like a German park, but actually filmed in Borehamwood, England. Acknowledgments - Neil Rigby. Images - ITV, Central Television and Carlton Media. Location Notes - Filmed on location in one of Düsseldorf’s most famous bars. Acknowledgments - Neil Rigby. Images - ITV, Central Television and Carlton Media. Hamburg, Düsseldorf and London. Many of you might already know this, but Hamburg was used as Düsseldorf on screen, and also London was used as Newcastle. The Beco Building site which we saw most of on screen, was actually in Elstree, Hertfordshire, where the EastEnders outdoor set of Walford now stands.